I used to make school visits, but I've stopped now. I'm putting this video up to give an idea of the sort of thing I used to do. 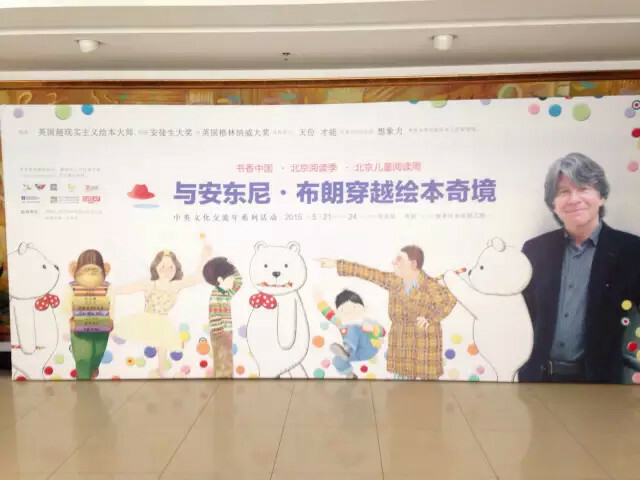 A presentation by former Children's Laureate, Anthony Browne, at the 2012 IBBY Congress in London (23 to 26 August 2012). Mexico 2016 — in Mexico City, Mexico. 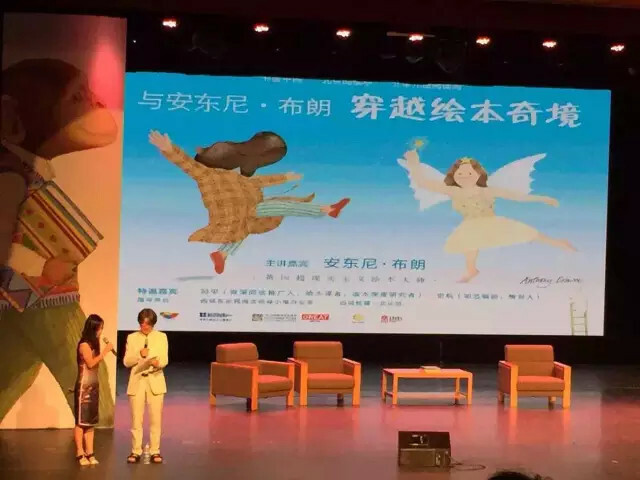 Anthony has recently got back from a trip celebrating 25 years of children's books with Fondo de Cultura Economica. He had a busy week with interviews, talks, an illustration master class, workshops and signings. He received a wonderfully warm welcome from his fans and has returned with fresh inspiration. While he was there Anthony was able to visit Frida Kahlo's house and he's now planning to make a book on this subject. 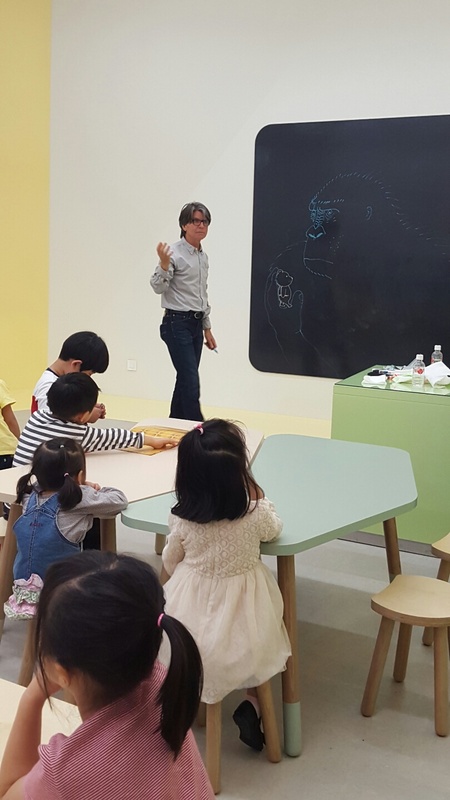 Watch this space..
Anthony Browne's Happy Museum, Seoul 2016 — at Artcenter IDA. Anthony has just got back from a fantastic visit to South Korea where he saw the best exhibition of his work yet, met thousands of enthusiastic fans and gave workshops with Hanne Bartholin. 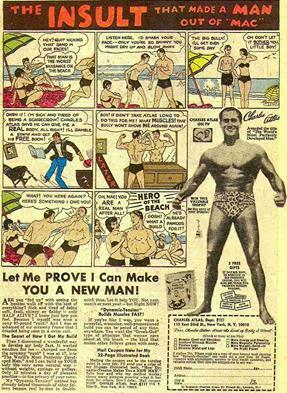 These were my two main inspirations when writing Willy the Wimp. There's a nice free exhibition at the British Library at the moment, Animal Tales, stretching all the way from Aesop and Ovid to Dolly the Sheep, Dave Eggers, Helen Macdonald and me. Can you guess which other Willy book has a reference to this band? I've just got back from visiting Illustratour 2015 in Madrid with Hanne Bartholin. Here we are discussing our work on stage. It was a great festival full of friendly, warm people. Why not go and see a brilliant performance of Gorilla at the Polka Theatre, Wimbledon? Just got back from a great trip to Beijing to see my publishers Beijing Cheerfly. Lots of talks, lots of book signings and lots of lovely enthusiastic people. Great food, lovely weather and I even got the chance to see the forbidden city! Here is a section of a new picture from Willy and the Cloud. Cheer up, Willy! Here is the first picture from Willy and the Cloud. As you can see I am not afraid of cutting up my pictures - I wasn't happy with the background so I cut out the main image and stuck it down on a fresh piece of paper. Traditionally I have painted the Willy books in watercolour, but following on from Willy's Pictures I decided again to use gouache. It's a much slower process but I feel it gives the illustrations a more solid reality. It's been a strange summer. Last May I broke a finger on my right hand whilst running in the woods, so I've been unable to work on a new book until now. I find it difficult to paint or draw but have returned to my favourite character - Willy. The first Willy book came out in 1984 and I've produced seven all together so far. I feel more comfortable painting a character that I know so well, and the new book will be called Willy and the Cloud. This is a page from the dummy. 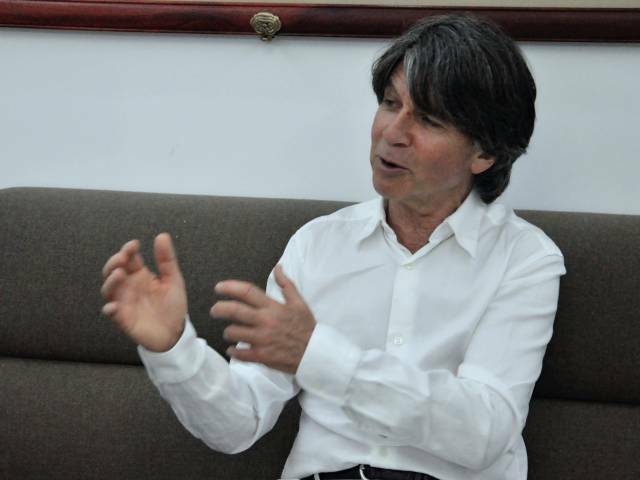 Have you ever wondered how Anthony Browne develops his ideas? Follow Anthony over the next few months and watch as he starts work on his new book.